If these sound like you, please feel free to adopt my suggestions for replacement questions. Soon. If you’re not guilty of any of these, then just shake your head in amusement…and have a little extra sympathy for the authors you know. Chances are, this author is nothing like the author you’re mentioning. Particularly in number of copies sold…contrary to popular belief, most authors aren’t typing away on their private yacht while their butler brings them copies of the New York Times that feature their novel on the top books list every week. Try this instead: “Which authors write stories similar to yours?” If you need a style comparison. Otherwise, just don’t bring up other authors at all. Unless you want to hear a forced laugh and “Yep, apparently some of them still do,” this is probably not the best question. Try this instead: Actually, for this one, not saying anything might be good. Or you can follow my First Law of Dream/Plot Etiquette: if you can’t summarize it in three sentences…don’t even start. There is literally no good way to answer this question. 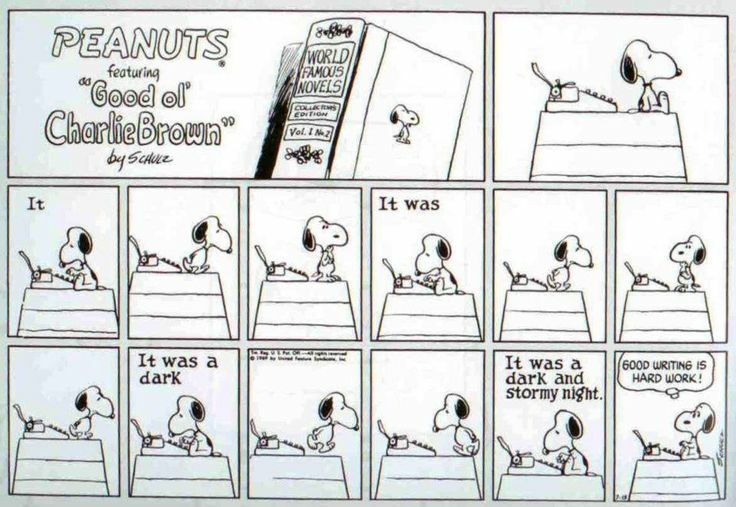 Similar to #1, many authors have a specific schedule when they do their writing. Do they want to spend time with their friends? Yes. Some would even love to help you with your writing. 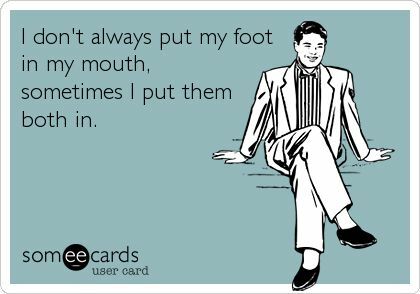 But not when they’re working, and especially not when they’re working long hours trying to finish a manuscript on time. If you’re a writer—or, you know, a person—it’s a good general practice to avoid creating awkward situations for other people. This is one of them. Many writers are happy to help you in your publication journey…but there’s a limit to what they can (or should be expected to) do. That last one especially. Not even funny. It’s totally fine if whatever genre the person writes in just isn’t your go-to. But don’t bring that up, and don’t judge a genre too harshly, particularly if it’s not one you actually read. Not all romances are sighing, wind-blown females staring at shirtless men, for example. Totally understand this one—I love a good deal too! And it’s great to be on the lookout for sales…but don’t ask the author about them, or it sounds like you don’t really value their book enough to pay full price for it. Try this instead: “Do you have a website? Or what would be the best way for me to learn more about your books?” Sign up for the newsletter, follow the author on Facebook, and you’ll hear about sales when they happen…and also be able to support the author. Pretty hard. (See #1.) Authors love that fans are excited for the next book. Just remember that while it may take you five or six hours to read a novel, it takes considerably more hours than that to write a novel, especially when adding in deadline pressure and edits for the previous book and a little something called a real life that most of our authors seem to want to have. Go figure. Writers and readers: anything you’d want to add to this list of Things Not To Say to Writers? A few months ago, Becky Wade wrote a blog post called “Ten Secrets Authors (Almost) Never Tell.” It was such a fun glimpse into writers’ lives that I thought I’d do something similar for Bethany House. So here are a few secrets from life working at a publishing company…don’t tell! One: It’s common to see red pen corrections on email messages, charity flyers posted on the fridge, and even notices in the bathroom. When you’re surrounded by editors, it happens, people. Three: Whenever there are weapons used on the cover of a book, and thus lying around the office, a certain fiction publicist who writes this blog always has to go inspect them. 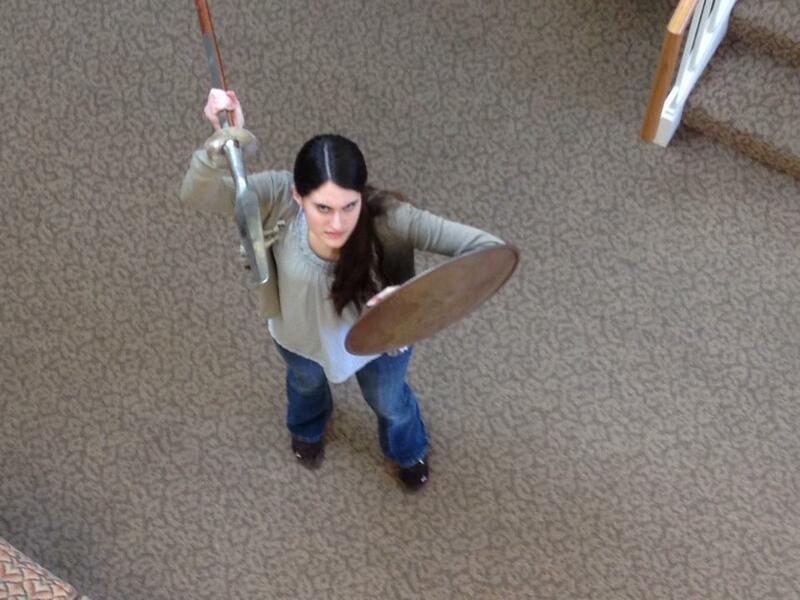 And sometimes takes them into meetings, because who’s going to disagree with you when you’re holding a sword? From Patrick W. Carr’s The Shock of Night. 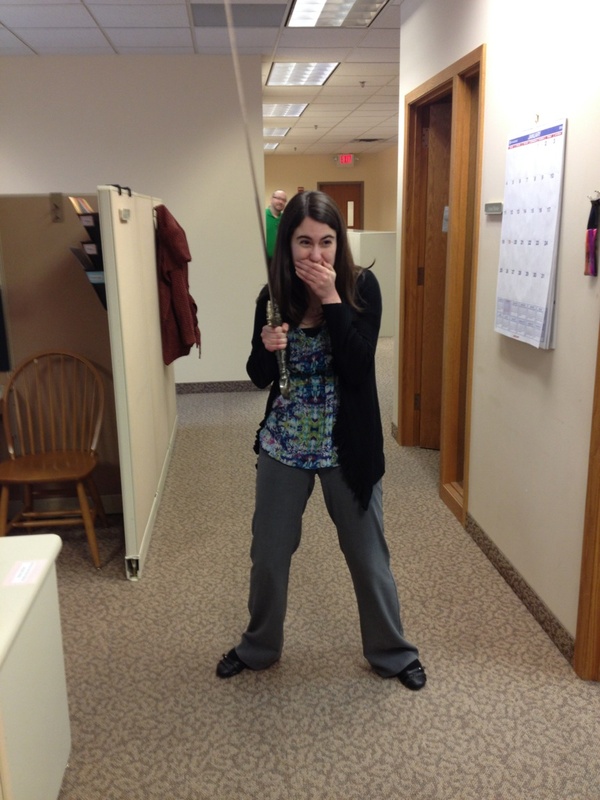 From Lynn Austin’s Keepers of the Covenant (we ended up using a bow and arrow instead of the spear). 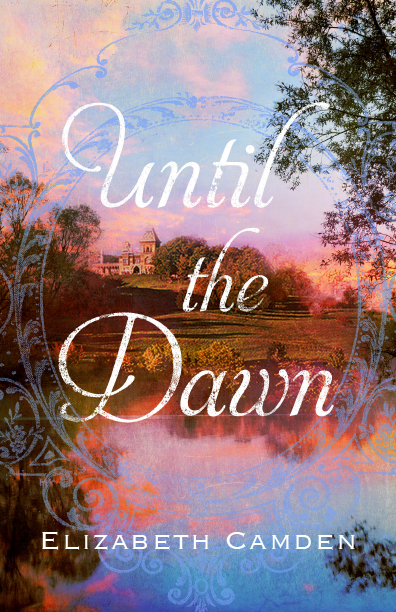 Ask Bethany House: How Do You Decide on a Book Cover? This was one of the most frequently-asked questions in our Ask Bethany House survey (behind questions about publication which I answered here and here). To a lot of us, myself included, the work that designers do on book covers is a lot like magic. Before our designers begin the covers, they get all the necessary background from the person who knows the story best. The author sends in information about their characters, setting, and key moments in the book, including pictures that show what their hero and heroine look like. Obviously we can’t call in those celebrities for a photoshoot, but sometimes the models we choose look surprisingly like the more famous counterparts the author chose. The editor of the book, who is familiar with the story and has read it if it’s already been completed, is a part of all of the meetings to give feedback on whether the cover fits the story and its tone. Once we pick a direction we like, the real design work happens, and at a second meeting, often a month of so later, we see several options of different poses, layouts, and backgrounds that we critique. Sometimes there’s one cover that stands out to everyone. Sometimes it’s more of a “that model with that type box but without the little swirly things, and make the author’s name stand out more” type of discussion. Often, we’ll meet again to discuss tweaks to the final cover or see different options for the title type. At that point, the cover is sent to the author for approval—they occasionally notice something out-of-place, like a need for a change in hair or eye color that we didn’t catch. By that point, the cover is complete and ready to present to the world! There’s a lot more going on for the actual designing part, and I might do a Q&A with one of our designers later this year to talk about how they run photoshoots, choose images, add effects, and so on, but that’s the basic process for deciding on final covers for our books. 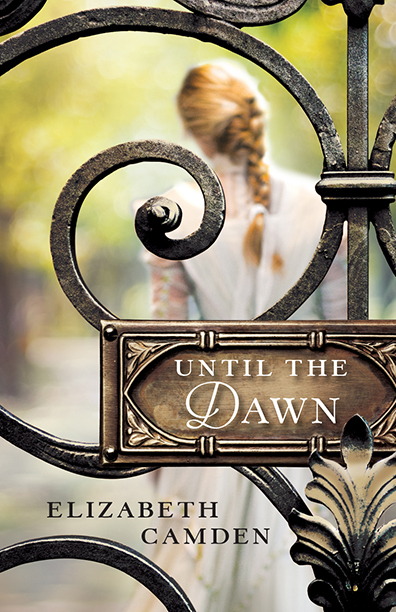 Just for fun—and because we get to see this part of the “magic” all the time—I thought I’d show you some of the covers for Until the Dawn, by Elizabeth Camden and talk you through our process for choosing the one we did. The final cover is pictured above at the beginning of the post—it comes out in December, and I just finished reading it. It’s wonderful! This one, with the garden and gate imagery, was a bit too close to another historical we’ve published. 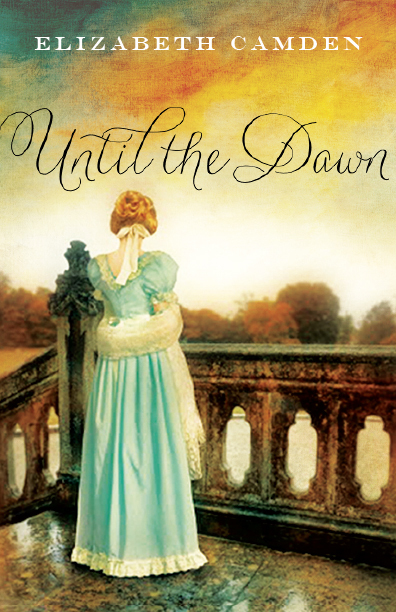 Everyone liked the look of this one, but there was concern that you couldn’t really tell that it was historical instead of a contemporary romance. The design for this one was a bit overwhelming (though we liked the title font and used it on the final cover). 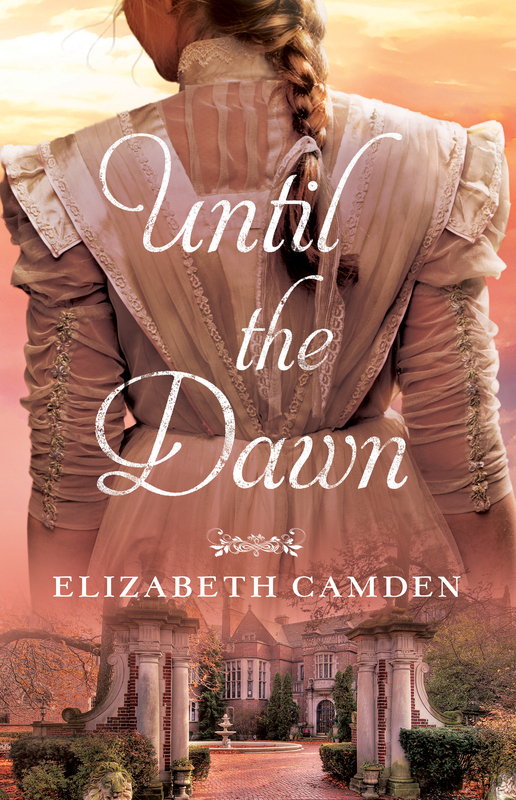 The editor pointed out that in this one, the woman in the picture doesn’t match Sophie, since she’s not a wealthy noblewoman, but a cook and a volunteer for the Weather Bureau (though the colors of that sunrise in the top are so lovely!). 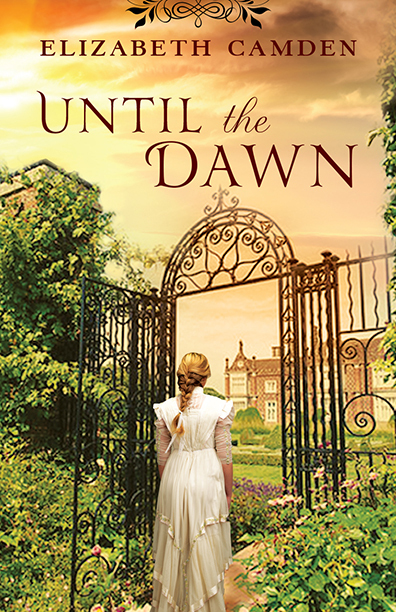 We loved the idea of including the beautiful Dierenpark mansion on the cover, since it plays such a key role in the mystery of the story, but we felt that showing Sophie as well would be a better choice. Some liked the coloration on this cover, others thought it was too much. I chose this title in particular because there were lots of unique designs that we liked…but we felt like this one best fit what we wanted to do with the book. 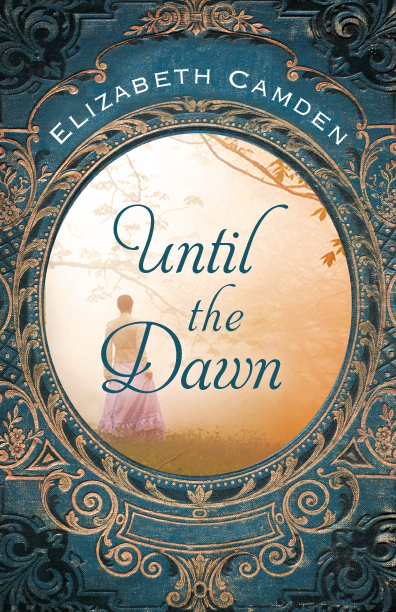 It was slightly different from other books by Elizabeth Camden, everyone liked the rosy glow (which also fits the heroine’s outlook on life), and there was a hint of the beauty of the estate that forms the setting of the story, described in lovely detail throughout the book. There’s even a slight glow of dawn behind the character and, I think, a sense of the mystery that is found in the book (and kept me guessing until the last page). As far as how long all of this takes, our designers each work on several titles a season. Right now, they’re working on covers for Summer 2016! Which of these alternate designs for Until the Dawn is your favorite? You can’t judge a book by its title…but it is the first thing you’ll notice to give you a hint at the story. You can’t judge a book by its cover…but you should be able to get a sense of what the book is like or where it’s set. And you can’t judge a book by its first page…but hopefully it should intrigue you enough to keep you turning pages! For physical health for the authors and their families. For times of encouragement and refreshment even during difficult or stressful seasons. For the ability to manage multiple demands on time and attention in a way that’s honoring to God. As always, we so appreciate your prayers, and I know the fact that you’re praying is very meaningful to our authors as well. We’re so blessed to have a great group of readers supporting our writers!